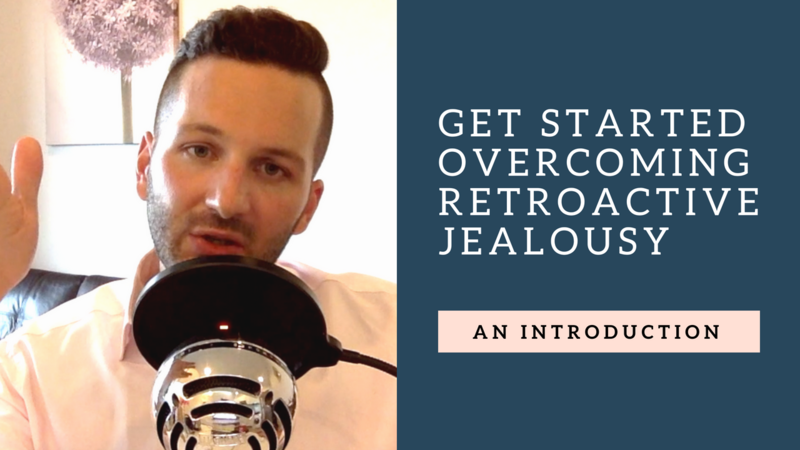 In 2013, I published a blog and guidebook called Overcoming Retroactive Jealousy. In a nutshell: it’s a book detailing the most embarrassing challenge of my life, and how I responded to it. Retroactive jealousy is basically being bothered by your partner’s past relationships and/or sexual history. And years ago, I had it bad. The long and short of it is I published the Overcoming Retroactive Jealousy blog and book without much expectation, but both have been very well received in the half-decade since. I love working on jealousy, as there’s such a massive return on your investment when you start working toward getting this handled. Simply put: even though I managed to put it behind me in my personal life, retroactive jealousy is still a big part of my professional life. And today, my email inbox is at maximum capacity. It turns out this is a surprisingly common issue, far more so than I realized. And now seems to be the perfect moment to share some of my thoughts about it with a wider audience. If you’d prefer, you can watch the video below. Please visit my blog, RetroactiveJealousy.com. You can also check out my guidebook, Overcoming Retroactive Jealousy, on Amazon.